The School of Music unveils rare, newly refurbished harpsichord — thanks to support from a generous donor. 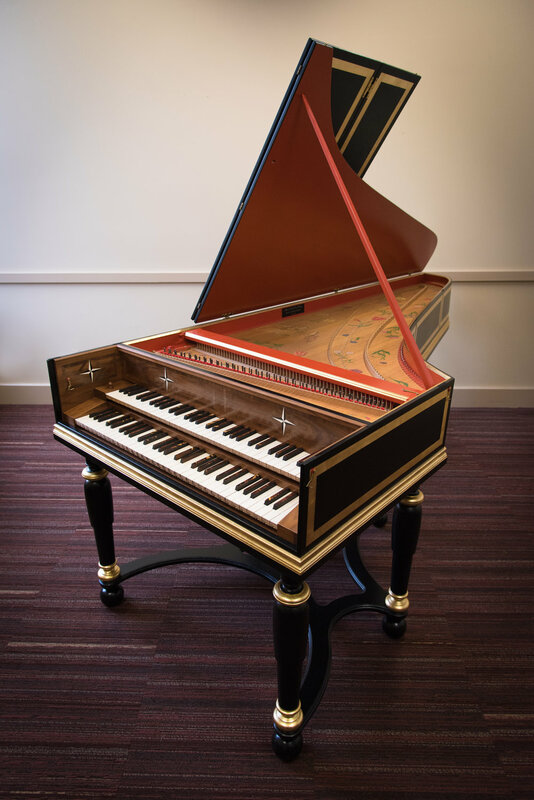 This March, the School of Music unveiled one of the jewels of our instrument collection: a newly renovated double-manual harpsichord modeled on an 18th-century German original. Harpsichordist Alexander Weimann, along with violinist Chloe Meyers and viola da gamba player Natalie Mackie, showcased the new addition with a special concert at Roy Barnett Recital Hall featuring the works of German Baroque composers. “Bach, Muffat, Buxtehude and Schmeltzer — it was the perfect repertoire, I think, to demonstrate what makes the instrument such an important and beautiful addition to the School,” says Professor Alex Fisher, who helped organize the renovation and the concert. Craftsman Craig Tomlinson built the harpsichord by hand in the 1980s, based on the original German design by Christian Zell (1728) that is preserved today in the Museum of Arts and Crafts in Hamburg. Celebrated for its rich sound and variety of different tone colours, Tomlinson’s masterful replica had begun to show its age and needed some significant improvements. A generous donation by Marlene Yemchuk, in honour of her son David Yemchuk (B.Sc. 2010), made the renovation possible. “In the fall of 2016 Marlene and I began discussing a donation in the memory of David, an alumnus of the UBC Faculty of Pharmaceutical Sciences, who was an avid and talented musician in his own right,” Fisher says. In addition, the generous donation also made possible some improvements to a second harpsichord by Ken Bakeman that is heavily used by students and faculty. 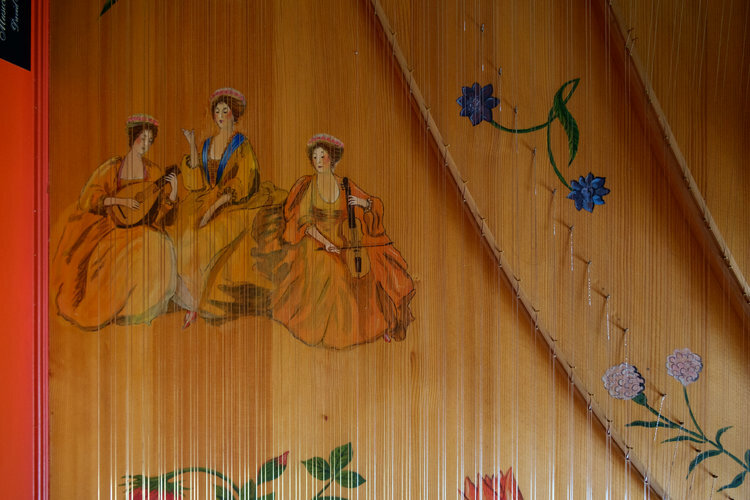 In his renovation of the Zell harpsichord, Tomlinson kept its original case, its lovely keyboards made of ebony and bone, and its beautifully painted soundboard, but completely restored the harpsichord’s action. He restrung the entire instrument, adjusting its regulation and voicing, rebuilt the stand on which it rests, and painted the entire exterior of the instrument in a deep black with gold bands. The finishing touch was the addition of a small plaque in David’s memory, inscribed with the phrase Musica Lieta Dono Divino (“Joyful Music: The Divine Gift”). The result is, in Weimann and Fisher’s opinion, perhaps the finest instrument of its kind in Vancouver and the entire region. “As a musician and devotee of early music, I can say that it an incredible gift to have such an important and beautiful instrument at the School. Thank you to Marlene and Craig!” Weimann says. 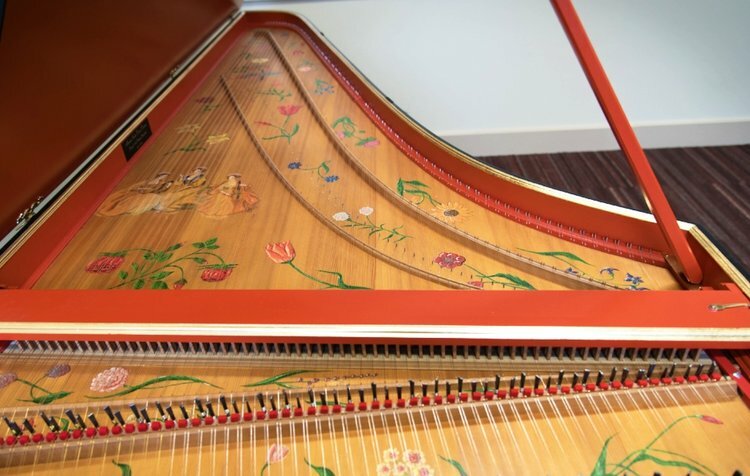 As one of the most beautiful instruments in the region, the Zell harpsichord needs a custom-made cover that will protect it from scuffs and scrapes and keep it in top condition. If there are early music enthusiasts out there who might be interested in making a small donation towards this commission, we would be extremely grateful for any support! Please contact Prof. Fisher if you're interested.